Topeka Metro - A Romantics Perspective, by Jacquée T.
Read a book or simply unwind while getting around town via bus. Topeka Metro has served the city for over 40 years, and now provides over one million passenger trips per year. The buses run on environmentally friendly clean diesel fuel. Topeka Metro is community-friendly. The staff coordinates with the local public library to provide a year-round “Books on the Bus” where books are placed in baskets for passengers to read and share. 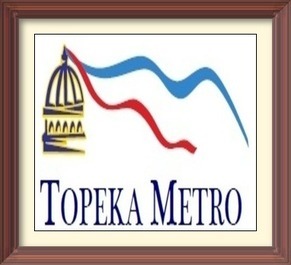 Metro provides complimentary shuttles for the Topeka First Friday Art Walk, and offers free rides to military every November. All buses are ADA accessible. For more information, including fares and schedules, visit here.